The All Progressives Congress has warned against any attempt to truncate the ongoing fight against corruption under any guise, while also expressing total support for President Buhari’s determination to end the scourge of corruption in the country. 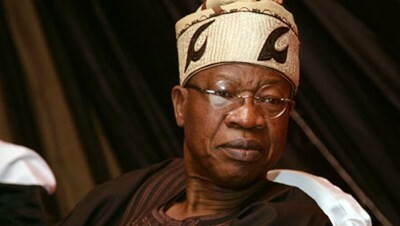 In a statement issued in Lagos on Thursday by its National Publicity Secretary, Alhaji Lai Mohammed, the party appealed to all Nigerians, especially opinion leaders, to ensure that their actions and utterances do not give comfort to those who have looted the commonwealth. ”Our party promised Nigerians change, but the change that we promised and which Nigerians desire so much cannot be achieved if we allow the resources that belong to all Nigerians to be appropriated by a few. How do we upgrade our decayed infrastructure and provide jobs for our people when the money meant for that has been squirelled away by a few? ”President Buhari has promised to break the vicious cycle of corruption that has held Nigeria down. How can he do that if he allows those who have looted the treasury to escape justice, and then use their ill-gotten wealth to fight the government? How can he do that if he turns a blind eye to the monumental cases corruption in all sectors. ”We know that fighting corruption in a society where the cankerworm has eaten deep into its fabric will not be easy. We know that corruption will always fight back. But there is no other choice than to confront and destroy this monster once and for all, lest it destroys Nigeria,” it said. APC said the President’s sincerity of purpose can be seen from his statement that any of his party members who is found to be corrupt will not escape justice. ”Therefore, those who are shouting themselves hoarse by saying the Buhari Administration’s fight against corruption is selective or is a distraction are only seeking to sabotage the epic battle. ”If they have any case of corruption against any member of the APC, they should forward their evidence to the appropriate anti-corruption agency. But to take to the airwaves and the pages of newspaper to use their paid agents to launch a campaign against the anti-graft fight is to fight against the very existence and survival of Nigeria. ”The danger in truncating the fight against corruption is that it will consign Nigeria to poverty, insecurity and unemployment in perpetuity. That is why we are restating our unalloyed support for the President, and urging him not to be deterred or distracted by those hiding under sophistry to weaken the fight,” the party said. It said those who are engaging in nitpicking on the anti-corruption fight are simply implementing a well-oiled plan to make enough noise by accusing the Buhari Administration of being selective, and hope to create enough confusion and distraction to hoodwink unsuspecting Nigerians. ”We are glad that most Nigerians have lent their support to the government’s fight against corruption, going by their interventions on the Social Media which has now become a people’s parliament of sorts, and other fora. We urge them not to relent in their support, irrespective of the antics of the naysayers,” APC said.